Cipla’s mental health awareness aims to break the social stigma around mental health in South Africa. Currently, there is a perceived shame about living with mental issues in sectors of SA society. 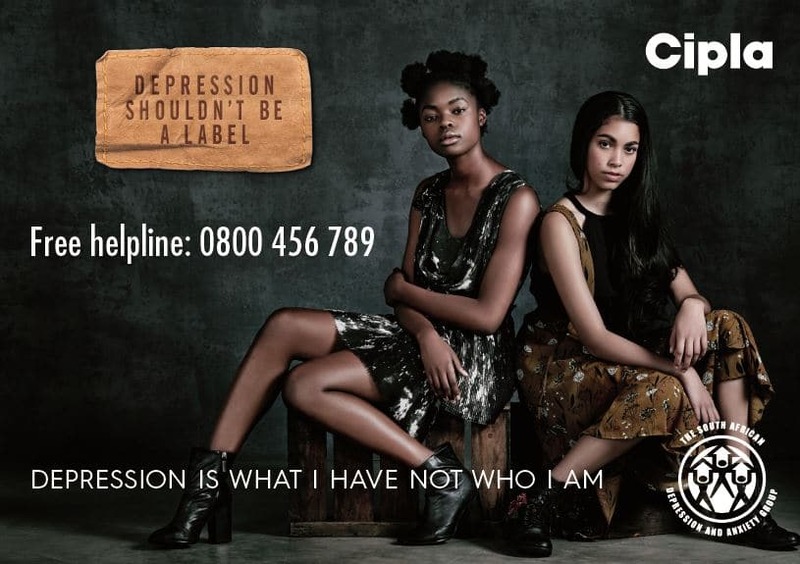 In addition to their awareness campaign, Cipla has launched a dedicated mental health helpline with SADAG (0800 456 789). Cipla has embarked on a campaign to create awareness and help fight stigmas related to mental health conditions. In South Africa, 1 in 3 people will or do have a mental illness at some point in their lifetime. There are 23 completed suicides in South Africa every day, and a further 460 attempted suicides every 24 hours. Many people are not seeking help or getting treatment out of fear of being stereotyped. The brain is also an organ, and like any other organ in the body, your brain can also become ill. Cipla are aiming to create awareness that help is available, and most importantly, that there is hope for those who suffer from depression and other mental conditions. Depression is a medical condition that can be diagnosed and treated. Depression does not simply go away, and there is no shame in seeking help for it. It is believed that around 50% of individuals with depression do not receive treatment. In collaboration with the South African Depression and Anxiety Support Group (SADAG), Cipla has launched a dedicated Cipla SADAG mental health helpline (0800 456 789). The helpline is managed by trained SADAG counsellors. Join the movement. Help to break the stigma.